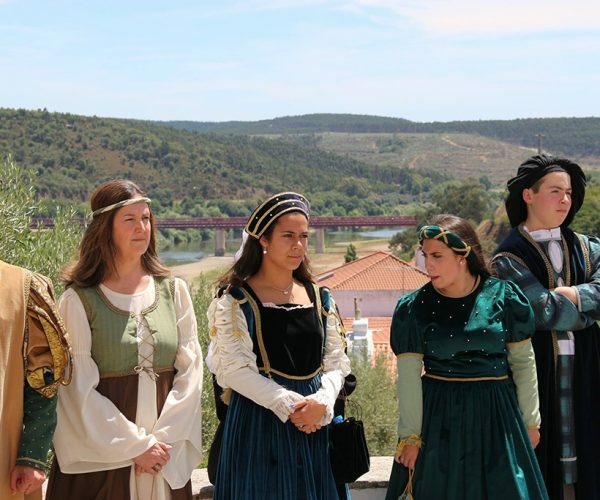 10th June is Portugal’s National Day, Camões Day and Day of the Portuguese Communities. Constância took advantage of the date to celebrate Portugal’s greatest writer, and the town’s ties to the poet’s memory. 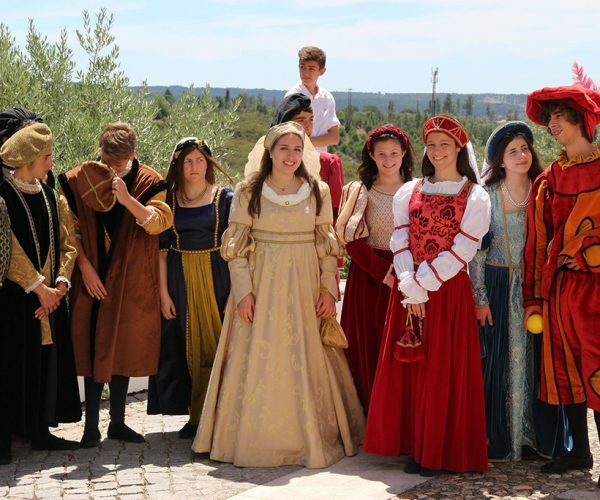 It did this through its Pomonas Camonianas, an event organised by the council and Constância middle school, which ran from 9th to 11th June. 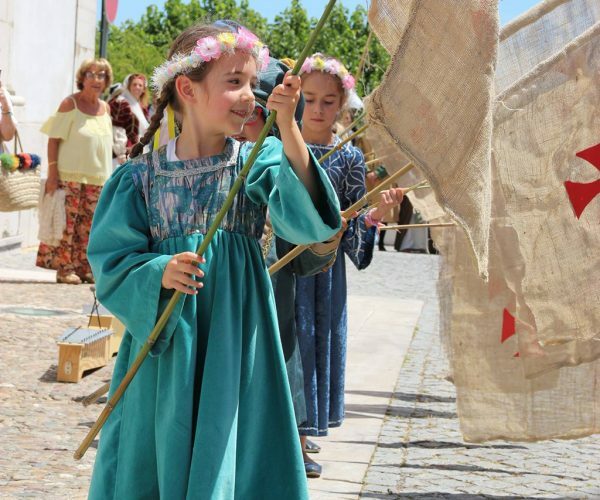 At the event, the town recreated the Renaissance-era atmosphere with characters dressed in period costume, and with the hustle and bustle of a 16th century fruit and flower market as cited in works by the bard. 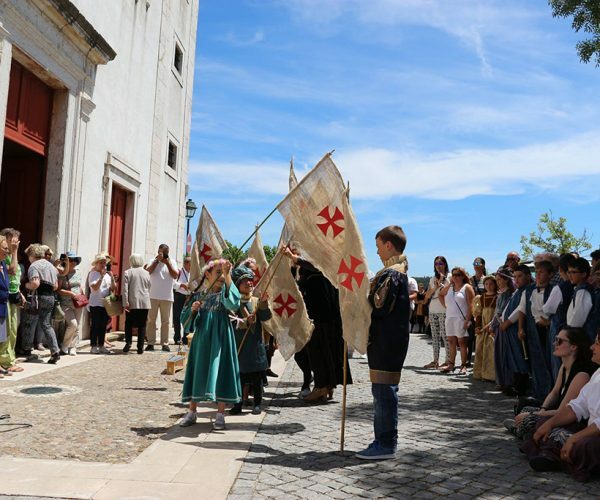 This was the 12th edition of the Pomonas Camonianas festival, which arose from an idea put to the Constância council by the then Chair of the Camões Association, Associação Casa-Memória de Camões, Manuela de Azevedo. 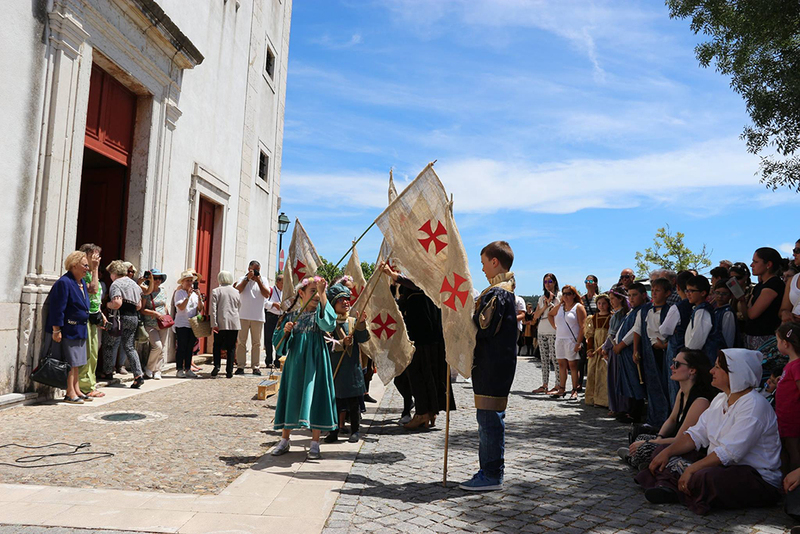 The idea behind the initiative was very simple: to create a large community festival, organized by the people of Constância and particularly the town’s younger inhabitants, to celebrate Camões and Constância. The idea was put into action and now it’s one of the town’s most important events. In recognition of the importance of the initiative, Caima promotes and sponsors this event.